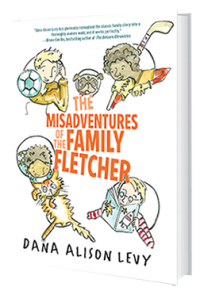 Dana Alison Levy is the author of It Wasn't Me, a new novel for kids. 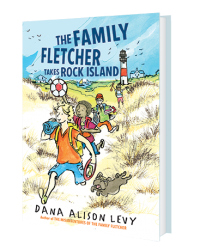 Her other books include The Misadventures of the Family Fletcher and The Family Fletcher Takes Rock Island. She lives in Massachusetts. Q: You note that It Wasn't Me was partly inspired by The Breakfast Club and partly by the concept of restorative justice. How did the two come together to form this novel? A: The Breakfast Club is such a great, iconic movie, and I loved the idea of revisiting the basic idea: kids who have preconceived notions about each other being forced to spent time together, but bringing it down into middle school. Middle school is such a pivotal time, and stereotypes and judgments grow during these years to a point where it’s hard to turn back. Restorative justice is an incredible tool — not perfect, and not right for every situation — but a way to unpack problems and allow all the people involved to grow and move forward. I was curious to see how it might look in a middle school setting. Q: Your books often include recurring characters. Why did you decide to bring back Jax Fletcher in this book? A: He just showed up! I wasn’t really planning on it, but then I was writing it and there he was! I always have a soft spot for Jax Fletcher…there are a lot more stories about him and the rest of the Fletcher boys bouncing around my head. Q: What do you think the novel says about stereotypes in middle school? A: We all know the risks of labeling a kid a bad kid or a stupid kid. But what about labeling someone the victim? What about labeling someone a princess? What about when kids label themselves and think they have to live up (or down) to that assumption? My hope was to dig a bit deeper into how we all — myself included! — judge people based on what we think we know. And I try to remind myself every day, whether I’m frustrated by a bad driver or dealing with an unpleasant person: “Be kind, for all of us are fighting unseen battles.” This is not to excuse hurtful behavior, but instead to find tools to move beyond it. A: That we all make judgments without knowing all the information, and that all of us deserve a chance to tell our story. 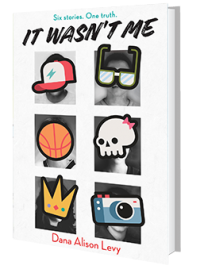 A: I have a couple of different projects in the works, but the next thing that will be hitting the shelves is my first book for young adults! It’s about two teens who plan to climb Mount Everest in the spring of their senior year of high school, and how lifelong goals, family loyalty, and new relationships make them both question what —and who — they are climbing for. It’s called Above All Else and it will be out in early 2020. --Interview with Deborah Kalb. 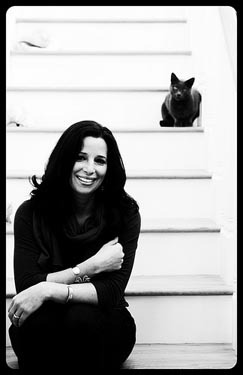 Here's a previous Q&A with Dana Alison Levy.